Maurice Diggersby, the handyman at Mad Tom Farm, likes to see that things are done right, and keeping things up and running on an estate that houses four generations of one eccentric family is no small task. When odd things go missing and mysterious lights appear in the barn at all hours of the night, he and Samson have their hands full holding the place together. From the ministrations of Augusta the family matriarch (who knows a bit about everything and is just waiting for someone to ask), to the misadventures of six-year-old Charlie, the youngest member of the clan, the Bertram family keeps Maurice and his faithful dachshund, Samson, on their toes. Throw in the renter's little girl with her interest in mail, a contractor with some confusion about his tools, a shark, a fog machine and a misplaced mule, and Maurice's steady presence is much in demand. 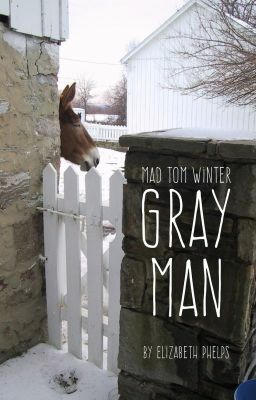 Join the quirky residents of Mad Tom Farm for a week of gentle humor and lighthearted fun.